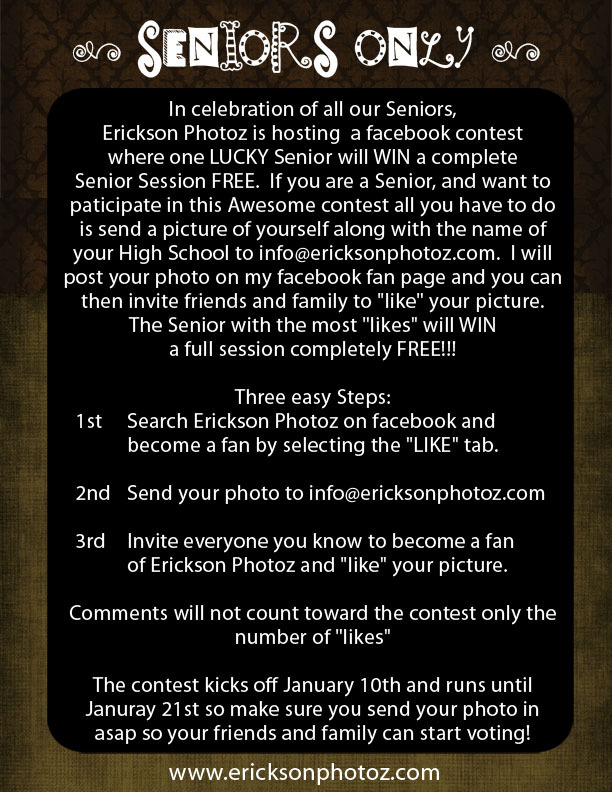 Erickson Photoz is offering a fantastic giveaway for Seniors in High School. See the flyer below for all the details!! Erickson Photoz services Houston, Texas and the surrounding areas. 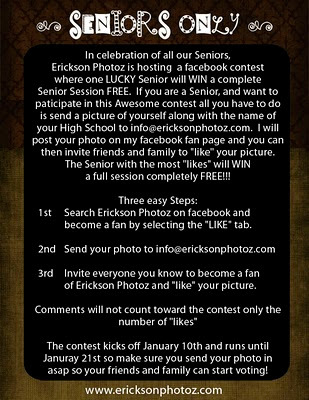 If you are a senior in the area, enter the contest for a chance to win a FREE Senior Session! !